Royal Oak Pella Windows | Royal Oak Pella Window Replacement | Royal Oak Pella Wood Windows | Royal Oak Pella Fiberglass Windows | Royal Oak PellaMcGlinch & Sons CO. Ever since 1917, McGlinch & Sons Co. Home Improvements has been helping the residents of the Greater Detroit Metropolitan Area and Southern Michigan with the installation of their Pella windows in their home! We are proud to say that McGlinch & Sons is a family-owned and operated business that values customer satisfaction and great products; we are also very pleased to carry only the top Pella windows products just for you. Our clients appreciate that they are getting an extremely valued product when they go with Pella windows because they are receiving much more than a window! Our customers comprehend that going with McGlinch & Sons they will receive the best in customer service and the best in Pella window products. Additionally, the Pella windows we have are built to last a very long time and can withstand anything that Mother Nature may bring. Our Pella window replacements provide a small detail that clearly distinguish them from the competition and that is why our customers favor Pella wood windows or Pella fiberglass windows over the rest! What’s more, the residents of Royal Oak save up to 74% with their energy efficiency Pella windows, which McGlinch & Sons provides for them! Royal Oak is a suburb of Detroit Michigan and holds a population of 57,000. It is the 8th largest municipality in Oakland County and the 27th largest municipality in Michigan by population. Due to Royal Oaks large population there are several Pella window replacements and Pella window requests that are made and McGlinch & Sons is here to fulfill them! McGlinch & Sons is well-known for being prompt, working with detail and finishing our projects on time and within the budgets of our Royal Oak customers. McGlinch & Sons has an immense assortment of Pella windows that have the premium of features and are well presented with lavishness. Our Royal Oak customers are certain to get the Pella windows that are engineered to meet their window project needs and at the same time deliver the functionality they have wanted. Sincerity, dependability and good quality and those are just a few of the qualities McGlinch & Sons uses daily and have been for years. That’s why our Royal Oak customers choose us for all their Pella window products because they know we can get any window job done! McGlinch & Sons has the Pella window replacement products that you have been searching for and that will improve the appearance of your home, inside and out! We offer a diversity of both interior and exterior designs with several different colors that will compliment your home and your decor. McGlinch & Sons carries the following types of Pella windows: Double Hung; Sliding; Casement; Awning; Single Hung; Bay & Bow; Specialty and Special Shapes. 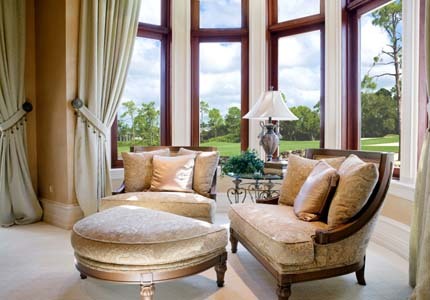 So lay back and let the professionals at McGlinch & Sons install the Pella windows of your dreams! The Pella windows can boost the charm, significance and curb appeal of your entire home. If you would like to learn more regarding our Pella window products, please reach out to us at following locations listed: Oakland: (248) 987-6300, West Side: (313) 278-2777, or East Side: (586) 776-8912. McGlinch & Sons Co. Home Improvements is the window company that you can trust, so go ahead and give us a call right now!